"The rise and fall of the tropical dream at the Kahiki"
In the Sept/Oct issue of Imbibe, my Behind the Bar column is about the Kahiki, the late, great tiki bar of Columbus, Ohio. The first and only time I visited was just a few weeks before it was demolished in 2001. At the time, I was a contributing editor at Preservation magazine, the official publication of the National Trust for Historic Preservation. 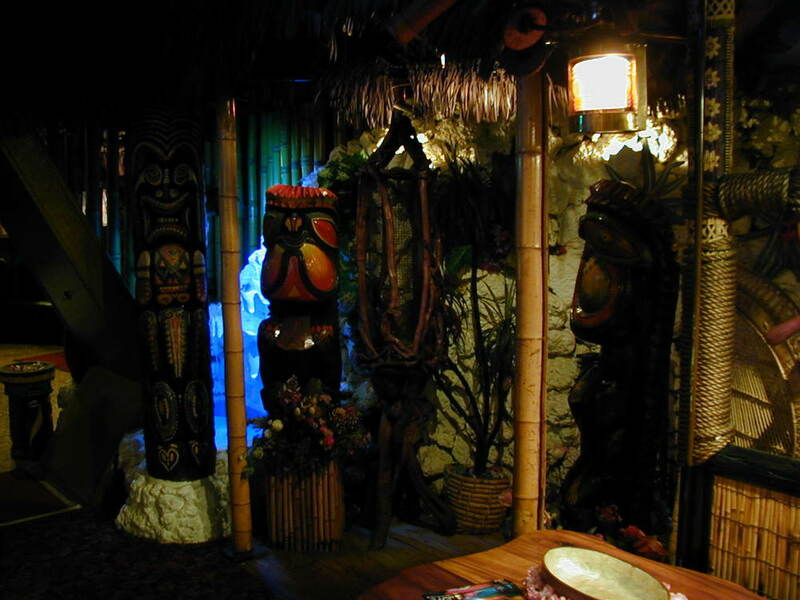 I was fascinated by the fact that the Kahiki was the only tiki bar on the federal National Register of Historic Places, a designation that unfortunately did nothing to help save it. I ended up pitching a story to The Atlantic magazine, which was then called The Atlantic Monthly. I’d been pitching The Atlantic for about 12 years, and had a nice collection of rejection letters for my pains. (Yes, typed letters, which dates me.) But the tiki story got the green light, and was my first piece to appear in the magazine. You can read it here. (The formatting is very Web 1.0.) I believe my next “Drinks’ column will mark the 50th story I’ve had in the magazine. But you never forget your first. The Imbibe story isn’t online — at least not yet. But if you’re curious about the place, above are a few photos I took when I stopped by just ahead of the wrecking ball. Click to cycle through.